The other day I went over to New England Comics to visit Michelle, a serious Fafi fan and my go-to gal for anything comics. We got to talking about a few things relative to fashion and make-up (we came up with a few good ways to use the Urban Decay Potion hahah) and we talked about the latest from M.A.C. As you know, M.A.C brought you the ever so pretty Fafi collection last year, and is coming to the tail end of the slightly controversial Dame Edna collection. 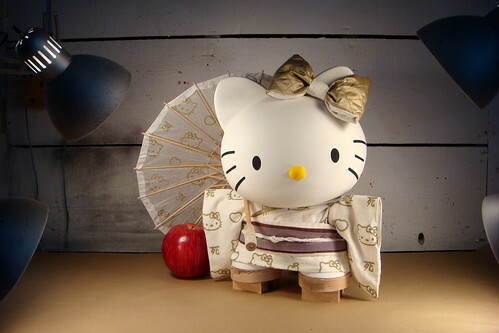 Although not the newest news, coming up in February, M.A.C will be launching their latest collection collaborating with the Japanese cartoon idol Hello Kitty. If you were there for the Fafi launch in Downtown Boston, you can expect a similar scenario with the new collection on February 12th; also available online Feb. 10th. Its confirmed!!! 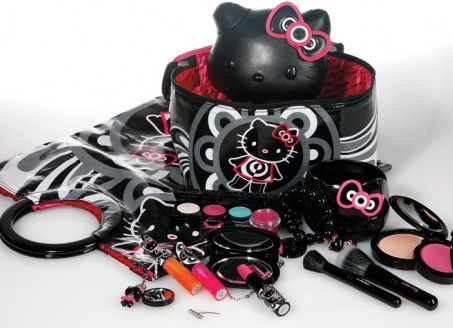 Hello Kitty and MAC Cosmetics have teamed up and will be releasing two collections. The limited edition collection will be available at MAC’s website on February 10, 2009 and in MAC US stores on February 12, 2009. Not only is there cosmetics, there will also a line of accessories.